This DVD charts a course through the attempted colonization of the Amazon jungle by European settlers and their encounters with those who had already made it their home. The Amazon Jungle has long been regarded as one of the most inhospitable places in the world. Countless explorers and documentary crews have explored the deepest and darkest depths of the jungle, unearthing sites that astonish the average person whilst further enhancing its reputation as an extremely difficult place to live. Astonishingly, this has not beaten the indomitable will of humanity and this DVD aims to chronicle the lives of the remarkable indigenous people of the jungle. The tribes who call the Amazon home are some of the most dedicated and remarkable people on the planet. This feature documents the tremendous struggles and remarkably instinct for survival that makes these people so amazing. This program documents the traditional customs and rituals undertaken by the tribes that are indigenous to the jungle while also examining various attempts throughout the years to colonize their world and assimilate them into a more standard way of living. This DVD charts a course through the attempted colonization of the jungle by European settlers and their encounters with those who had already made it their home. 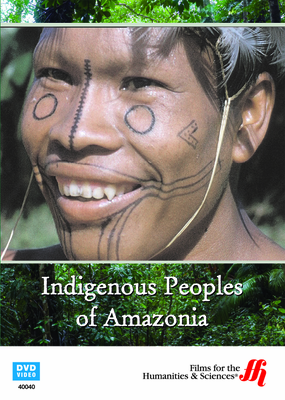 It documents the attempts by these settlers to convert the tribes they found to the European way of life; a move which would have destroyed their traditional customs were it not for the defiance shown by those who understand the Amazon better than anybody in the world. The role of large scale corporations and the influence of Christianity and the various missionaries that they have sent to the tribes are all examined in detail, providing a remarkable insight into the dedication the tribes have to their own way of life. Positive influences are also documented such as the work of Erwin Patzelt and the Villas Boas brothers, who have campaigned tirelessly to ensure the indigenous tribes are free to live the lives they choose. Viewers will discover amazing facts about Huaorani, Kampaere and Anticume Pata, in addition to learning about the Xingu tribes in this stunning film.